Finalni raspored dogadaja za DMC 2018 Adelaide. $1·3 na 3 kosarkasko takmicenje za mlade kategorije, ispod 18 godina. $1·3 na 3 fudbalsko takmicenje za starije kategorije. $1·Muzika, hrana (posna), bezalkoholna i alkoholna osvezenja bice servirana u novo otvorenim prostorijama SCO Kilkeni. Zatvaranje, dodele medalja i trofeja. The Draza Mihailovic Cup is a very special competition, this competition bring the best Serbian basketball teams together once a year. Competitors that compete every year in this tournament are clubs and teams from Sydney, Melbourne, Adelaide, Brisbane, Perth and Canberra. Beginning in 1993 the tournament has been held annually and is one of the major sporting events in the Serbian-Australian Diaspora calendar. 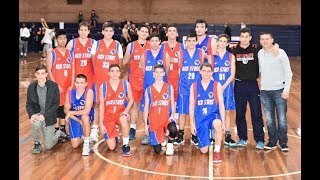 This tournament is one of the biggest sporting events in the Serbian community and as such is very significant for the entire Serbian community of Serbs in Australia because the tournament brings together teams and players from all over Australia, which in addition to promoting the sport of basketball I also promote the importance of sport and a healthy lifestyle among young people who live here in Australia. 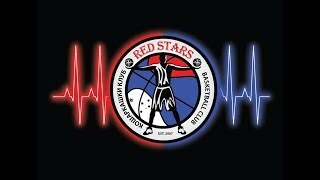 Red Stars Basketball Club hosted 24th Draza Mihailovic Cup in 2016 for the first time. Red Stars Basketball Club competed for the first time at DMC in 2008 in Sydney. Since then Red Stars are regular competitors at the tournament. 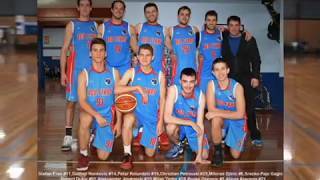 If you are a Serbian basketball team in Tasmania, ACT, Northern Territory or New Zealand You are more than welcome to attend the Draza Mihailovic Cup. This is open to Men's, Women's, Junior Boys and Girls teams. The competition will have multiple divisions in Men's, Women's and Junior categories.